Our goal is to connect people with the best local experts. We scored roofers on more than 25 variables across five categories, and analysed the results to give you a hand-picked list of the best roofers in Boston, MA. Founded in 1983, Aqua Barriers is a Norfolk commercial, industrial, and residential roofer incorporated in Massachusetts in 1987 serving the Boston Metro area. They offer roof repair, replacement, inspection, infrared scanning, and gutter and downspout services, and hold an A+ rating with the BBB. The team is on call 24/7. Arya Roofing & Contracting is a Winchester roofer serving residences and businesses throughout the greater Boston area since 2001. Licensed and insured, the company provides steep and low slope roofing services along with gutter and siding repairs and installations. Customers receive free roof inspections and assessments. Arya Roofing & Contracting is a member of US Green Council and is a Certified Green Roofer. 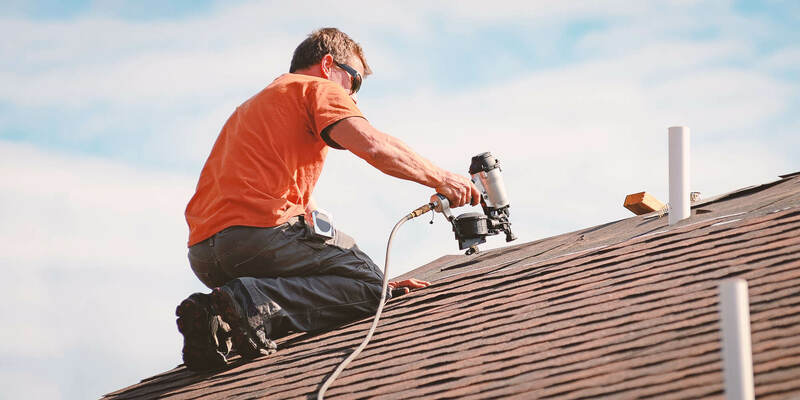 With more than four decades of home improvement experience, Atlantic Roof Restoration is a Scituate roofer providing installations, repairs, and replacements for commercial and residential clients throughout the Boston Metro area. In addition to roofing services, the company’s expertise includes siding, windows and doors, decks, gutters, chimney and masonry, and annual maintenance. Locally owned and operated, Atlantic Roof Restoration is licensed and insured. Founded in 2012, Boston Roofing is a commercial roofer and building restoration company providing inspections, installations, repairs, and maintenance for clients throughout Boston and surrounding areas. Licensed, bonded, and insured, the company specializes in slate, copper, industrial, and institutional roofing along with building and masonry restoration. Twenty-four-hour repair services are available as well. Cool Flat Roof is a family owned and operated West Roxbury roofer providing roof installations and repairs for commercial and residential properties throughout Boston and surrounding areas. The company supplies IB PVC flat roofs, metal roofs, roof decks, and energy efficient roofing systems. Cool Flat Roof is fully licensed, provides free estimates, and responds to customer inquiries within twenty-four hours. Founded in 1989, Corolla Roofing is a family-owned Winthrop roofer and contractor for homes and businesses throughout Boston and surrounding areas. The company specializes in new roofing installation, repairs, and exterior waterproofing. Green roofing is a company focus as well, and the business strives to create energy efficient systems from recycled and eco-friendly materials. Corolla Roofing is Better Business Bureau accredited, and a member of BOMA, NERCA, CAI, RHA, and IREM. Founded in 1992, D.L. Sgarzi Builders is a Stoneham roofer contracting company providing siding, roofing, deck, and window installation services for residents throughout Boston as well as Southern New Hampshire and Rhode Island. The company is licensed and insured, and customers receive free estimates for exterior services. Founded in 1958, Duffy Roofing is a Dorchester Center roofer serving homeowners and businesses throughout the Boston area. Specialties include the installation and repair of both flat and sloped roofs, including those constructed from shingled, tiled, slate, and rubber materials. Roofing services come with an installation guarantee. Gutter treatments are also available and come with an installation warranty. Duffy Roofing is an IKO Certified Professional Roofing Contractor and is Versico EDPM trained and certified. Founded in 1997, Flynn Roofing is a fully insured Quincy roofer serving businesses and residences throughout the Boston Metro area. The company specializes in asphalt shingles and rubber roofs along with gutter and skylight installations and snow removal services. Factory-certified by GAF Materials, former Flynn Roofing customers appreciate the team’s quick yet meticulous work. In business since 1987, Harco Exteriors is a fully insured and licensed Medford roofer serving clients throughout Boston and surrounding areas. Services include roofing, wood and vinyl siding installation, window replacement, and large-scale exterior painting. The company holds an A+ rating from the BBB, and former customers emphasize the team’s quality work. Founded in 2001, Historical Slate Roofing is a Newton slate and copper roofer serving residences throughout the greater Boston area. The company’s areas of expertise include roofing and chimney repairs, maintenance, and installations, gutter cleaning, and snow guard setups. Historical Slate Roofing is fully insured and has both a construction and home improvement license. JBF Companies is a Lowell residential and commercial roofer and contractor serving Boston and North Shore since 2004. Company specialties include interior and exterior painting, cleaning, seal coating, roofing and gutters, siding, flooring, carpentry, and insulation. All contractors of JBF Companies are licensed and insured, and the business provides free estimates. Founded in 1973, Kavanaugh Roofing operates as a Westwood residential roofer, serving those in areas south and west of Boston. The company’s specialties include asphalt shingles, slate and rubber roofing, and gutters and downspouts. Screened and approved by HomeAdvisor, Kavanaugh Roofing holds an A+ rating from the BBB and provides potential customers with free estimates. In business since 2007, LaBelle Roofing is a Wayland roofer that focuses on the design, installation, and repair of shingle and flat roof systems and skylights for homes, businesses, and institutions throughout the Boston Metro area. A family-run business, LaBelle Roofing is licensed and certified and holds an A rating from the BBB. In business since 2004, Landmark Roofing in Waltham provides new construction and repair services throughout the Boston Metro area. The company specializes in slate, copper, shingle, and flat roofing and is Lead Safe Certified with the EPA. Home remodeling options are also available, such as masonry, gutters, and historic restorations. In business since 1990, Leland Siding, Windows & Roofing is a Medway roofer focused on home repair, installation, replacement, and maintenance services for properties throughout the Boston Metro area. The company provides vinyl siding, replacement windows and doors, storm doors and windows, and seamless gutters and promotes energy efficient materials. Former customers highlight the team’s workmanship and attention to detail, and many projects are completed within one day. Founded in 1986, MasterCraft is a Boston roofer and exterior contractor for homes and businesses throughout Boston. The company specializes in roofing, gutter, siding, and window replacement services, and green building materials are used to promote clean air quality and energy efficiency. Licensed and insured, MasterCraft is an EPA Lead Certified Contractor and a BBB accredited business, and customers receive both manufacturers’ and workmanship warranties. Max Sontz Roofing Services is a Lynn roofer and contractor providing exterior repairs and replacements for commercial and residential clients throughout the greater Boston area, Southern New Hampshire, and Northern Rhode Island since 1931. The company features preventative roof maintenance plans, storm assessments, and stability testing, and emergency repairs are also available. In business since 1999, Mr. Iceman Co. Roofing is a Boston roofer and remodeler serving residential and commercial clients throughout Eastern Massachusetts. The company specializes in shingle, rubber, and slate roofs, and covers all installations by a ten-year warranty. Mr. Iceman Co. Roofing has more than three decades of experience in the field and an A+ rating from the BBB. Ranch Roofing is an Arlington roofer serving residential and commercial clients and condominium associations throughout Boston and surrounding communities for nearly two decades. The company specializes in asphalt shingles, rubber and slate roofs, and also installs skylights. Ranch Roofing is GAF factory-certified, Owens-Corning Platinum Certified, Firestone and RPI Certified for rubber roofing, and a 2015 winner of the Angie's List Super Service Award. Locally owned and operated, Roofing Wayland is a Wayland roofer providing exterior home improvement services throughout the Boston Metro area. The company specializes in roof installations, repairs, maintenance, and weatherproofing. With more than twenty years of experience in the field, Roofing Wayland holds an A+ rating with the BBB. Founded in 2000, Secure Roofing is a Quincy residential and commercial roofer specializing in architectural shingles, slate, and rubber roofing services for clients throughout the Boston Metro area. Fully insured and licensed, the team has more than two decades of experience in the field and provides free estimates. With more than two decades of home improvement experience, The Roof Kings is a locally owned and operated Boston roofer serving homes and businesses throughout Boston and surrounding areas. The company provides repair and replacement services for a variety of roof types and features skylight installation as well. General contracting treatments are also available, such as window and door installation and siding repair, snow removal, chimney and gutter maintenance, and ventilation services. A family owned and operated business since 1941, Thomas Burke & Sons – Roofing and Siding is a Wakefield residential and commercial roofer. The company focuses on roof, window, and skylight installation, gutter cleaning, painting, and carpentry projects. Thomas Burke & Sons is fully insured, provides free estimates, and accredited by the Better Business Bureau. Three Sons Window & Door is a family-owned Waltham roofer providing remodeling and construction services throughout Boston and surrounding areas since 1994. Fully licensed, insured, and EPA-certified, the company is a recipient of Angie’s List Super Service Award. New customers have access to online discounts.